Canada’s New “Express Entry” Immigration System - Canada Immigration and Visa Information. Canadian Immigration Services and Free Online Evaluation. 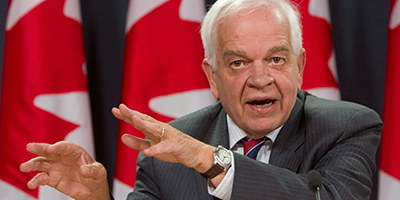 The Canadian Government will launch its new Express Entry Immigration System on January 1, 2015. Immigration Lawyer Colin Singer, Managing Partner of Immigration.ca and Global Recruiters of Montreal (www.grnmontreal.com), shares insight into what potential immigrants and Canadian employers can expect. How do you anticipate Express Entry will operate? The Federal Skilled Worker Program, FSWP the largest component of Canada’s Economic Class previously functioned under a first in/first out, point based system that attempted to measure the potential “human capital” contribution of an immigrant to Canada. Under the new Express Entry system, Canada’s Immigration Minister will promote an Employer Driven selection model by taking on a matching, facilitator approach to recruitment. Canada’s immigration department will become an online electronic interface between foreign national applicants and potential hiring employers in Canada. Under Express Entry, qualified applicants across many occupations will be invited to submit their profile to an Express Entry Pool and to the Canada Job Bank. Immigration authorities will then decide which of the highest ranked applicants will be invited to apply for permanent residence. This will take place across applicable economic class programs, including the Federal Skilled Worker Program, the Skilled Trades Program the Canada Experience Class and other programs. The 10 provinces and territories will retain autonomy to continue selecting immigrants under their immigration programs. Applicants who are invited to apply for permanent residence will have 60-days to submit a full application. The government promises a selection decision in 6-months or less in most cases. Applicants who receive a selection decision will then undergo medical and security formalities which could take another 6 months to conclude after a positive decision. Overall processing time will likely range 6-12 months for the majority of applicants. Under Express Entry, will applicants be dependent on a job offer from a “sponsor” Canadian employer? Annual levels for 2015 have been raised to between 260,000 – 285,000 which will represent Canada’s highest immigration levels in 5 years. From this level approximately 170,000 will comprise Economic Class immigrants and their dependants. A qualified job offer from an employer in Canada is a significant benefit but is not a requirement. The numbers of applicants who are expected to succeed in securing an approved job offer under Express Entry will likely be modest. Will the Federal Skilled Worker Program continue under Express Entry? The FSWP will continue to comprise the largest number of admissions to Canada. As immigration lawyers and professionally licensed recruiters on behalf of Canadian employers, we believe that most small and mid-sized employers will be reluctant to take on the task of direct recruitment. Many employers will continue to rely on the services of skilled recruiters. Employers with pressing hiring needs will unlikely wait a period of 6 months or longer for a candidate to begin employment. The Canada Job Bank under the new Express Entry system may become a marginal or secondary source of potential candidates for recruiters. At best, this could account for a modest number of applicants selected by employers under the new system. However for the remaining candidates without a job offer from a Canadian employer, immigration authorities will invite the highest ranked candidates to apply for permanent residence under the Federal Skilled Worker Program and other federal programs. The Federal Skilled Worker Program will continue to represent the largest number of Economic Class immigrants to Canada with most being selected under the human capital contribution assessment approach. Express Entry will succeed to the extent that the inventory of potential candidates and the processing of applications for permanent residence by the Canadian government will be easier to manage than previously. How is immigration.ca positioned for Canada’s new Express Entry Immigration System? We strongly believe that employment recruitment and individualized search consulting assistance is an important consideration for all immigrant applicants to Canada. In 2007, we acquired Global Recruiters of Montreal (www.grnmontreal.com) an independently owned franchise of Chicago based Global Recruiters Network. GRN Montreal provides search consulting expertise that applicants and employers require. For the past 7 years we have provided all our immigration clients with invaluable, search consulting services from our in-house trained recruiters. We believe our clients have the best chances to succeed in their immigration projects under the new Express Entry Immigration to Canada.